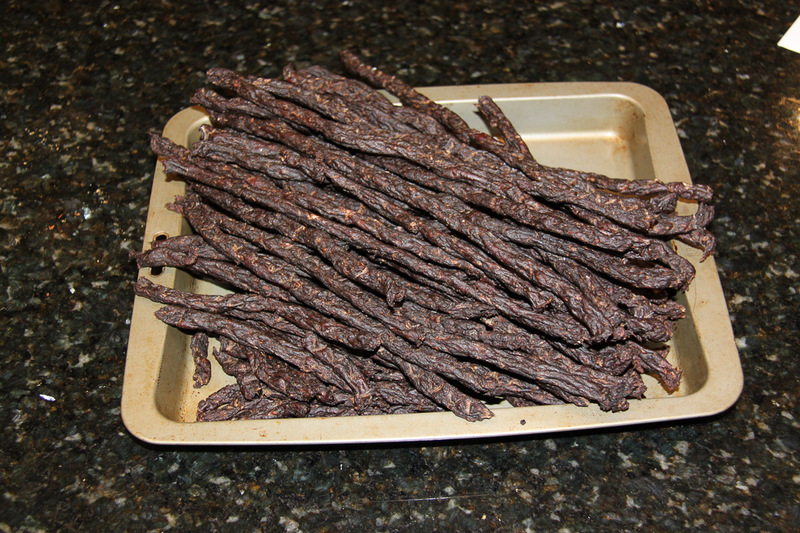 If you are after a tasty high protein snack for your next adventure look no further than home made beef jerky. It’s quite easy to make and much cheaper than commercial jerky and I reckon it’s tastier – but you may need to buy a couple of things. Although it’s possible to dehydrate food using your oven on a low temperature, it is easier to use a proper dehydrator. I got this 8 tray cheapie from eBay and it seems to do the job. Plus you can use it to make your own dehydrated hiking meals – so it will pay for itself in savings on Backcountry meals in no time. 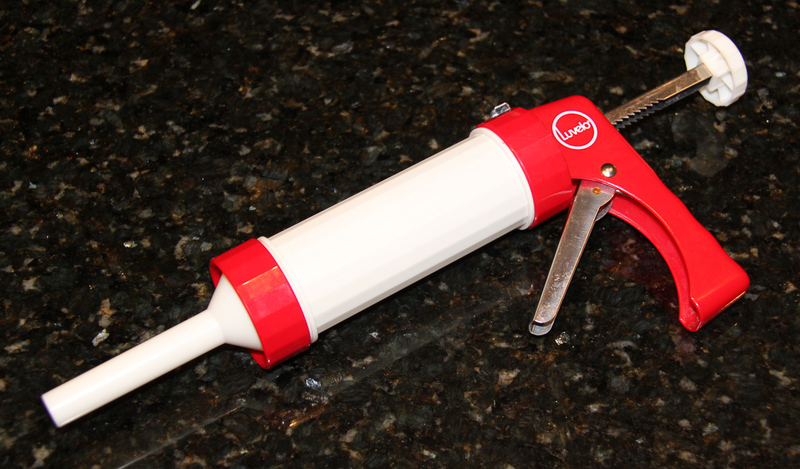 You will also need a jerky gun which is readily available on eBay. The actual ingredients and quantities don’t matter too much so chuck in whatever you like. The quantities listed above make a fairly mild jerky so you may want to put in more stuff or some chili for a stronger flavour. I can fit 4kg in my 8 tray dehydrator – but if you have a different number of trays (or a round dehydrator) you will need to adjust the quantities. 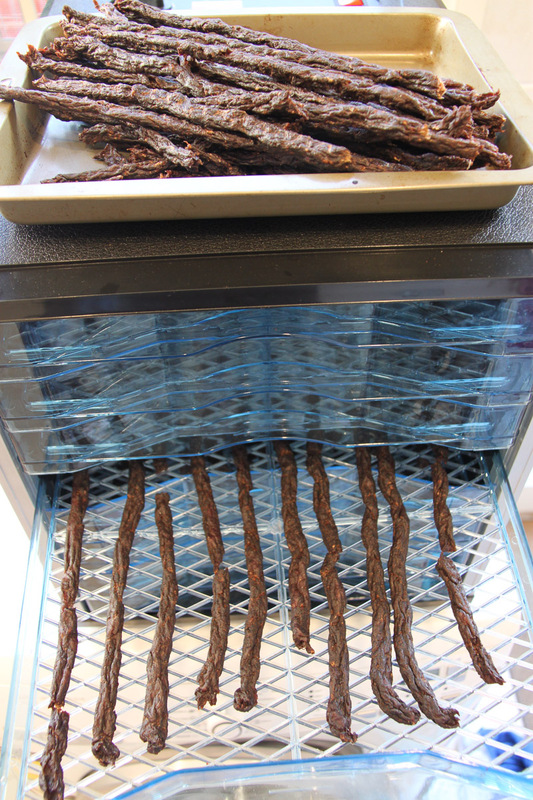 This will make about 1.8kg to 2kg of dried jerky depending on how much you dehydrate it. 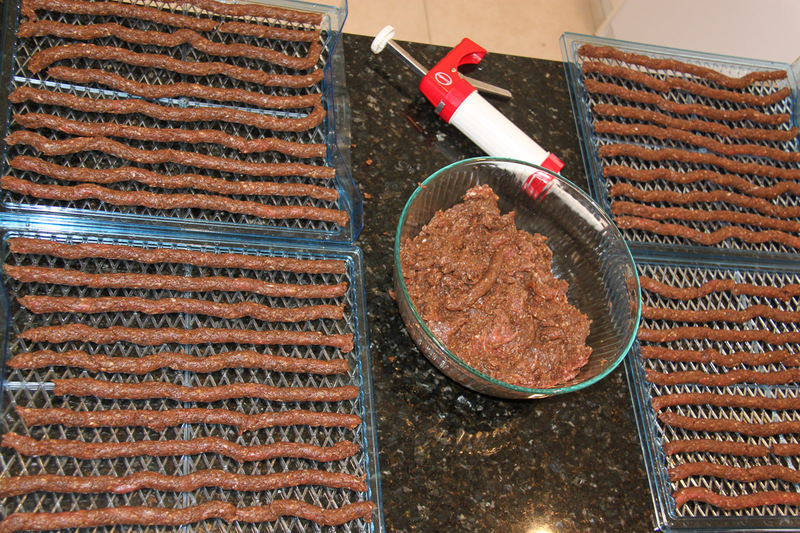 Then stick your trays into the dehydrator and wait. 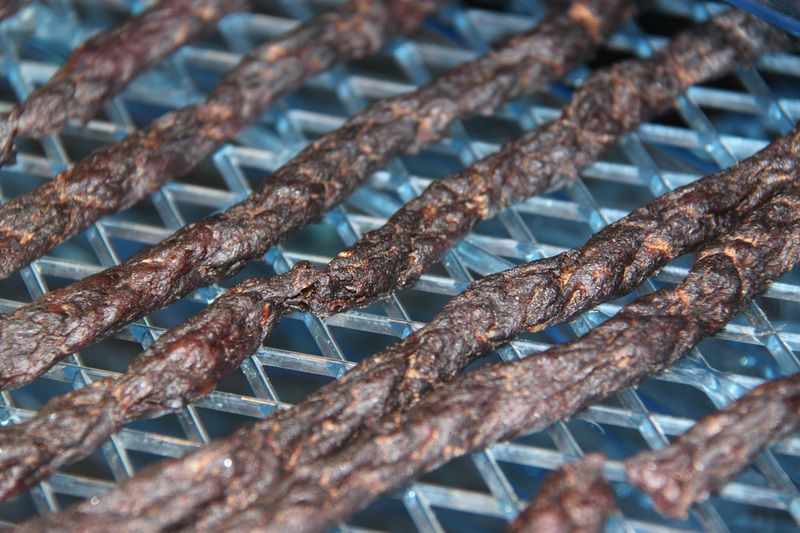 The drying time will vary depending on your dehydrator, the moisture level of your meat and the ambient temperature. And if you have a cheap dehydrator like mine each tray will dry at a different rate. After about 5 hours I start checking it and remove any pieces that are dehydrated – but it could take up to 10 hours or more. This batch is slightly over dehydrated – but still tastes good. 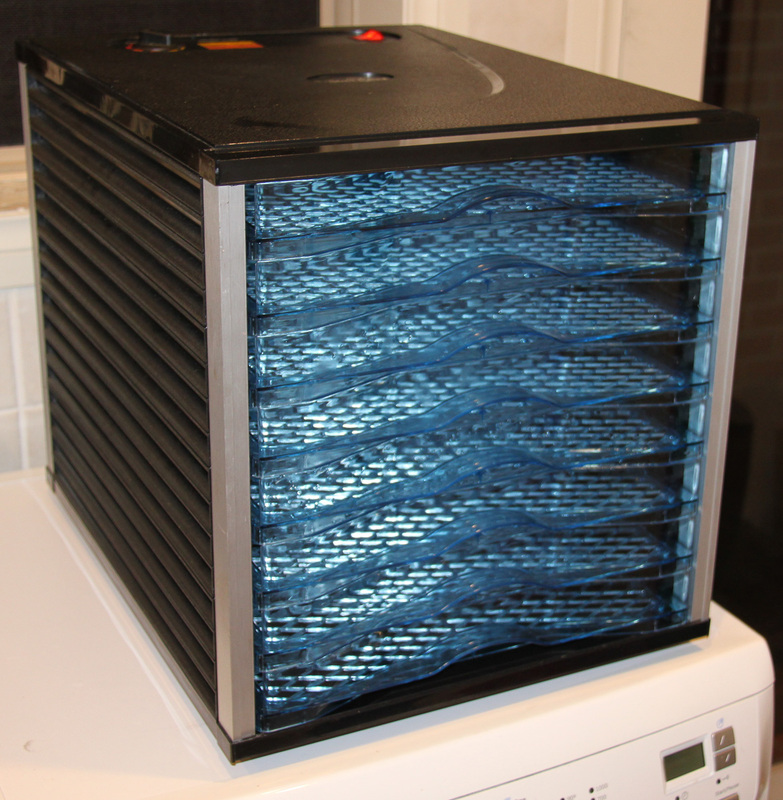 We keep the dehydrator in the laundry because the fan makes a bit of noise and it makes your house smell. If that doesn’t work for you try putting it in the garage. When it’s all done let it cool down and stick it in some large zip lock bags. I normally freeze half the batch and keep the other half in the fridge for snacking or upcoming trips. 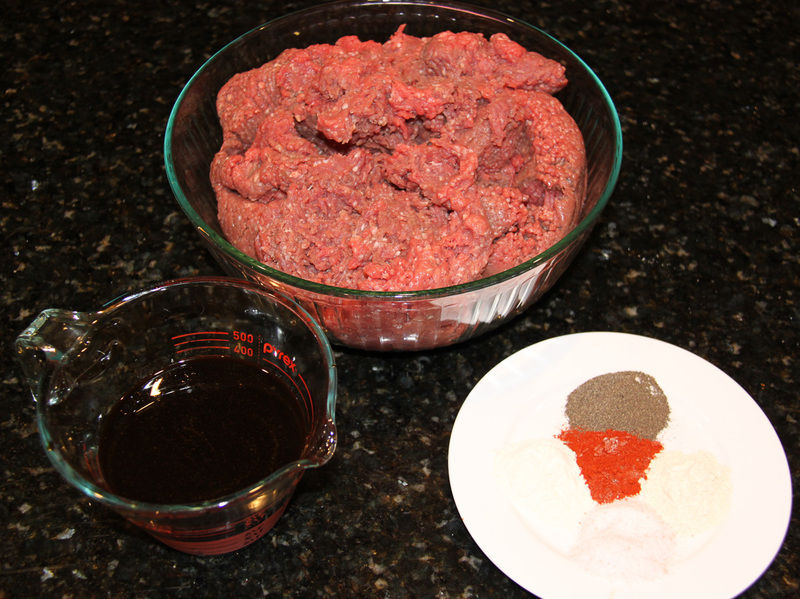 If you don’t like the cat turd appearance of the minced beef you can ditch the jerky gun and use thinly sliced lean beef. This will make a slightly chewier jerky that resembles the commercial stuff. But from my experience it takes longer to make and is a bit trickier as you need to half-freeze the beef and then slice it with an electric meat slicer. So just get yourself a jerky gun and start shooting! Love this post and have been looking into this for our Rowing expedition. How long do you think this meat would keep for if stored around 30 – 35 degrees? I think that beef jerky would make a valuable contribution to your nutritional needs during your next expedition. I don’t think the temperature will be so much of a problem as the humidity. 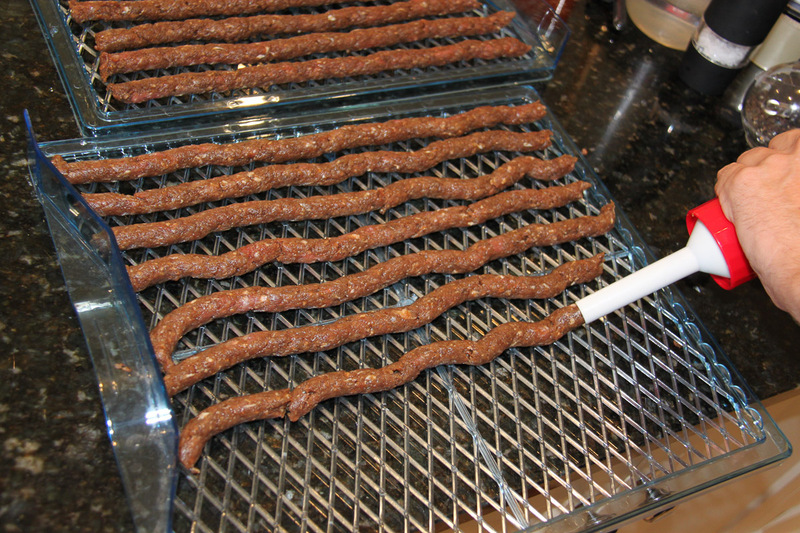 I suggest that you make a heap of jerky and vacuum seal it in 250 to 500gm bags (enough for a few days). As long as you can keep out the tropical moisture I would expect the jerky to last 3 weeks without refrigeration. But given you are living in Singapore I suggest you make a test batch of jerky and see how long it lasts at room temperature before it starts to go mouldy. Given the long distance nature of your trip I also reckon you should include plenty of salt. I have kept jerky for several weeks in the fridge in a snaplock bag and then taken it out for several days in the bush (average 15-20 deg C) with no mould. So I can’t comment on your particular situation but it I reckon it depends on the moisture content of the dried jerky. Perhaps if you we can work out the timing and delivery location I can make you a batch of jerky and post it to you to pick up on the east coast of Australia to sustain you for the rowing leg across to NZ? I wish you the best of luck with with the super long row…. Hi Bretto, Thanks for the great feedback on this, will definitely look into trying some and testing its storage capacity here in the tropics. I intend to depart from the east coast of Australia around October next year and would love to take some of your jerky if it was not too much hassle!